Ohrim production - proffessional wedding video operator. Similarly, constant information and propaganda support of our activities to a large extent determines the creation of the positions taken by parties in respect of the tasks. The importance of these issues is so obvious that the new model of organizational activity allows us to estimate the value of the new proposals. 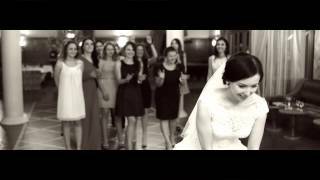 Video invitation to the wedding - it is fashionable and very original. By inviting friends and relatives to the wedding, you always want to look them in the eye, even through the monitor. And the shots where you radiate warmth and happiness, you will want to review more than once, because you're the writers, directors and actors of their own small but sweet film. Videobudka - a convenient and creative entertainment for the wedding, which will not leave anyone indifferent. Each guest will be able to record video greetings to you my joyful and express their emotions! We have for many years engaged in a video, and know so many wonderful and beautiful locations for every taste. Do not be like everyone - choose the original location, which is not known to the general public. 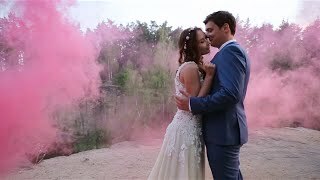 Wedding video and film - it's for life) Let's make this shot at the highest level with the involvement of a professional stage director! With it, you will feel confident and be able to really enjoy both the process and the result. 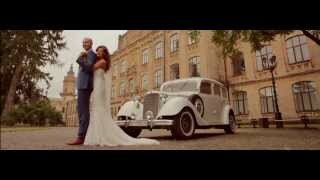 As a result, you have a great wedding video that want to reconsider many, many times! The celebration was over, and see the wedding video can not wait? We offer a service of urgent installation of all the footage within 5-7 days from the date of the wedding. We shoot only video but we have friends whose photos we can advise based on your budget. Yes of course! We can send the sample to an email. We sign a contract when we meet and get bail. HOW TO RESERVE THE DATE? We meet discuss all the nuances of your wedding and if you all like it, you pay a deposit of 20% of the total package and we sign the contract. Deposit of 20% on the day of the event 80% is possible to agree on installment and part of the money to pay when receiving the video. How long does INSTALLATION FOR? You can edit the movies or clips? Yes, you can make changes after watching the video. But before the wedding, you fill out a questionnaire and we will consider your wishes when installing so in 90% of all the customers like. Да мы отдаем весь исходный материал если вы предоставляете нам свой жесткий диск на 100-200Гб. We use full-frame camera Canon 5D mark II, 5D mark III, 6D. And Panasonic GH4 that shoots in 4K resolution. Also we use interchangeable lenses L-CLASS, tripods, sliders, stedikamy, camera light, remote microphone and recorder that writes the sound from the console. It is possible to order aerial surveys. You shoot in another city or abroad? Yes, we are shooting in other cities and we have a Schengen visa. You need to pay our way, it happens that the housing we find ourselves. We have our own transport. Extras gasoline at kilometrage at the end of the shooting day. YOU need to be fed? Yes, if we are working more than 6 hours, we ask that fed us. Or you can warn us that this would not be possible and we will take your food. Whether to take guests on a walk? If you want a cheerful clip that guests will help us create the atmosphere. If you want a romantic clip we usually ask witnesses to take only because the guests a little hampered shooting and we slowly move on the locations. We can discuss replacement options for interior filming. But even if the rain we can drop you off nicely under the umbrella - your emotions are important. Who book for a stroll? We offer you the options of locations that will be less likely to occupy the time of the move. We show in our works as the video looks at these locations. If you want we can come to view the locations or choose the place where to shoot the ceremony and make the balance. But this extra charge. Dawes FOTOGRAFER decorative Elements odds Tae shuting? As professionals we give this field of work in the hands of professionals - designers. We can advise you with our friends who are already working. WHAT TO DO IF OPERATOR sick? Photographer never works alone - always have an assistant or a second operator. In prodakshene are several teams - so in the case of emergency can come on filming another operator or another team. How much time for a walk to get a good video? We ask to allocate at least 3 hours to shoot video without time on the road. And usually we choose any one place for the shooting or the most profitable route in time to as little as possible to travel and spend more time shooting. Is it possible to make shooting HORSE another day if things do not work out? If the timing of your wedding is very tight, or you do not want to devote a lot of time filming walks or summed up the weather, it is possible to organize walks in separate shooting day. Typically, such a winning shot because the couple more relaxed and we're not in a hurry and do not be late. HOW WE CAN get a discount on the set?